1. 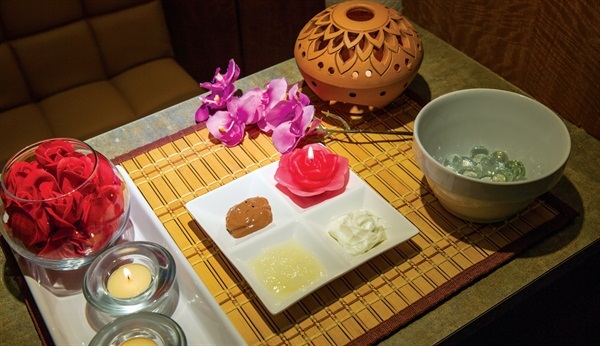 Add a drop of rose essential oil to a manicure bowl filled with warm water and soak the client’s hands. 2. 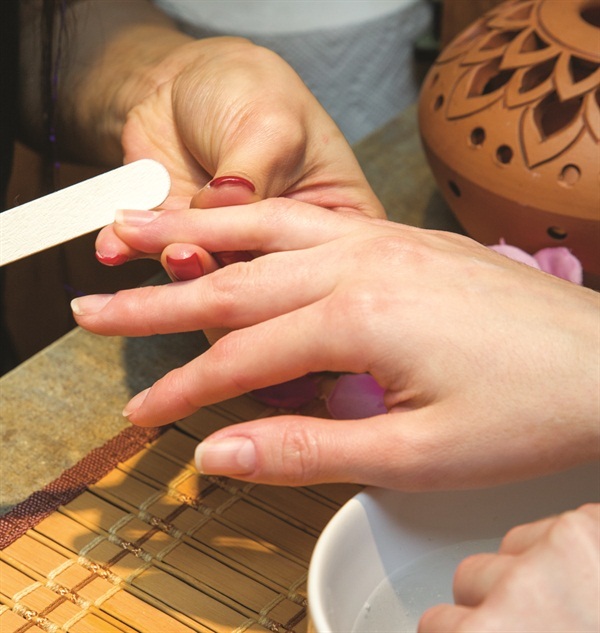 Prep the nails by filing, and push back/trim the cuticles. 3. Exfoliate the hands and lower arms with Sugar Glows Scrub. Remove with a warm towel. 4. Apply an even layer of Desert Oasis Healing Face and Body Masque to the hands and lower arms. Wrap with a warm towel, and remove after five minutes. 5. Massage the client’s hands with sandalwood lotion or cream. 6. Make sure the nails are clean and dry, and free of any product residue. Apply a base coat, two coats of polish, and a top coat. Use an alternate name such as Magic Carpet Manicure. Burn some amber scented incense or a candle, and offer a cup of Moroccan mint green tea.